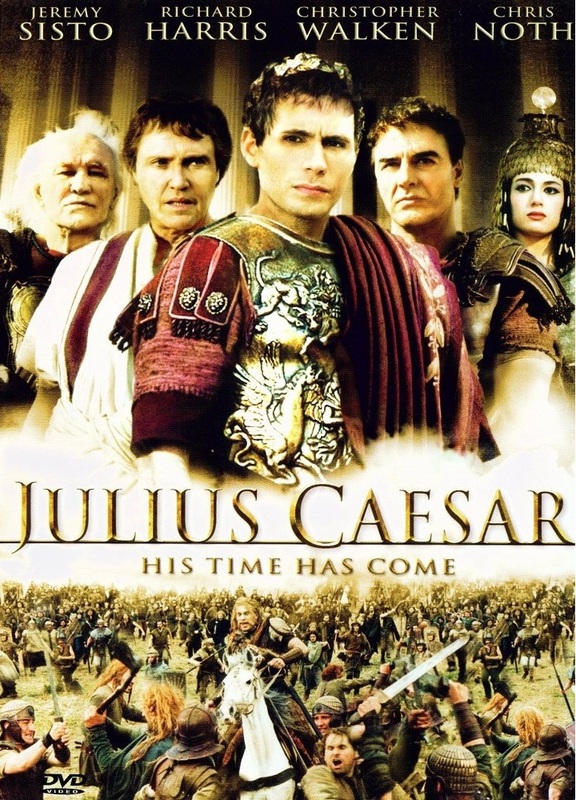 The Julius Caesar TV series covers the life of Caesar from his life as an 18 year old boy in 82 B.C. to his death in 44 B.C.. The series was quite popular, it won 2 Emmys and was played in many countries around the world. The TV series starts when Caesar is 18 years old, walking with his daughter he learns that Sulla is outside the city and intends to invade Rome with his army. Caesar leaves Rome and ends up with pirates who want to ransom him for money. Caesar later returns to Rome when Sulla dies of a heart-attack. He deals with pirates again (actually the very same pirates) who are cutting off the supply of grain to the city. Years later, Caesar manages to become consul of Rome. His daughter Julia marries general Pompey and he obtains the legions of Pompey with which he invades and conquers Gaul. In Gaul, Caesar army sacks a town and comes across a rebelious warrior who refuses to bow down to Rome. The warrior's name is Vercingetorix. Later Caesar's army is faced with Vercingetorix's army and despite being outnumbered, wins the battle. In Rome, Julia dies of childbirth and Pompey turns against Caesar and allies with Cato and Brutus and forms his own army in Greece. Upon his return to Rome, Caesar becomes dictator. Pompey dies in Egypt and Cato commits suide. 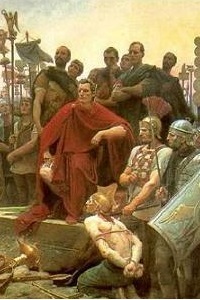 Caesar pardons Brutus. Later he allies with Cleopatra and makes her queen of Egypt. This greatly worries the Senate who plots to assassinate him, the main plotters being none other than Cassius and Brutus. The senators eventually attack Caesar and stab him to death On the Ides of March. What we like about this TV movie is its historical accuracy. Caesar was indeed captured by pirates. Sulla did enter Rome with his army. We also get to see Caesar's army conquering Gaul and the legendary encounter with Vercingetorix. In Gaul, we are shown the famous battle which is believed to be by most historians the most glorious victory in the history of warfare as Caesar is vastly outnumbered by the Gauls. Then there is the end of the Triumvirate between Caesar, Pompey and Crassus and finally the successful plot to assassinate Julius Caesar. Overall, it is a great TV series if one wants to learn about all the events that took place during the life of Julius Caesar. The images and the acting are really good and the series is entertaining to watch. A must-have at home.